“Simply put, they are mites that live in the soil. They are arthropods having an exoskeleton (no internal bones), a segmented body with legs coming from the segments. Likes to hang around in soil rich in nitrogen; like in farms. A suborder of mites that have different feeding patterns. This is the most common of the four. Before we talk about either eliminating them or keeping them, let us first have a visual understanding of these so-called “mites” so that we’ll know one for when we actually see one. Since they are arthropods, they have six legs. This is not to be confused with their closely related eigh-legged cousins; the arachnids. They, along with their relatives, typically make their home in potting soil. Hence; that will be the first place you should look if you suspect their presence. They are diminutive. So much so that they probably just the span of a pinpoint and are barely noticeable. These arthropods may show up as meager white spots strolling along the surface of the dirt or along a plant compartment. These soil mites are not thought to be any harm to plants and, actually, they are in many cases regarded to be valuable for decomposition. So, do not panic if you find them in your compost bin. Let’s look at a few facts. Greatly aids in breaking down decaying organic matter for the decomposition process. Helps roots absorb nutrients from decaying organic matter. Aids in the survival of plants (and even humans). A nuisance to us and our homes. Capable of carrying bacteria and transmit diseases to us humans. Can and will make homes in your potted plants. Capable of carrying parasites; such as the tapeworm. From the facts we have gathered, we can say that they are in a grey area; not all good but not all bad as well. Whilst they can help our plants, they can harm us directly. Should you decide to do away with them, it is fairly simple. As we have stated, they are irresistibly drawn to decaying organic matter. So, keep any and all decaying matter away from your home. Don’t forget to include the ones on the roof, like leaves, fruits, and etc., as well. If the mites find them, you can be certain they’ll be tempted to have a party with their friends and families at the banquet you have left for them. Don’t stress out too much. These arthropods have been known to leave when left alone for long or have run out of anything to eat. So, even if you take the passive (or lazy) route and just leave them be, they will eventually go away. However, for the doers who would prefer not to wait around for things to just happen, there are steps you can execute to get closer to the goal. 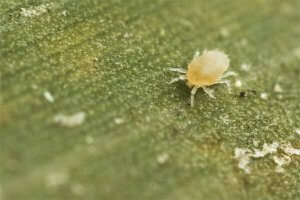 The mites love feeding on peat moss, decaying leaves, and mold. Thus, it’d be a great first step to filter them out of the soil. 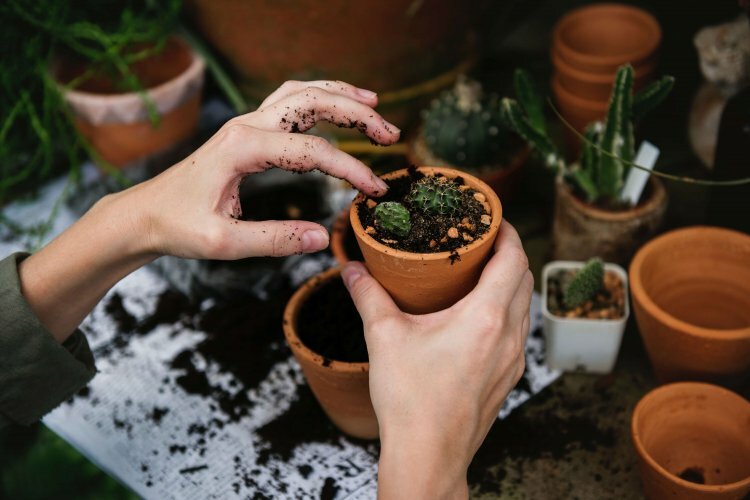 Take the dirt out entirely from your many potted plants. Don’t worry, this isn’t as costly as mold removal. However; do not be reckless when executing this step. Roots can easily be damaged; hence, the beginning of the end for your plant. And that would defeat the purpose of everything we’re trying to do! Once all of the dirt is out of the pot, sift through them thoroughly. Check and remove any more food for the mites. A few inches of topsoil may need to be scooped out of your garden to check for mites. Just make sure you do not negatively affect the support of your plants. No need to dig any deeper as mites are known to stay on the topsoil. However, if they are close to your decorative paving slabs, better check there as well just to make sure because some types of mites can travel fast! After thoroughly inspecting the soil, carefully return them to where they were extracted from. Pro tip: if there are leaves that you find are close to the end of their lives, save yourself some future trouble and do away with them now. It’s the best time. Rather than waiting for it to be a problem, preventive matters should be taken to eliminate any potential risk or danger they may bring. But that is if you aren’t looking to use them as “assistants” towards your plant’s growth.